Homepage UPDATES What is Humane Management? 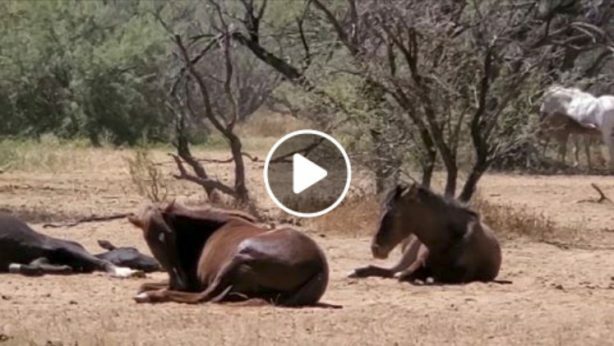 We have been hired by the AZ State Ag Department to manage the Salt River wild horses humanely. But what does that mean, what is humane management? We take our job very seriously and work hard to find the perfect balance; we cannot let wild horses starve out there during drought, but we also cannot let them overpopulate. We cannot let horses suffer when they become injured, but we also have to give them a chance to stay wild. The wild can be harsh sometimes and the natural death rate is much higher than anyone might expect. 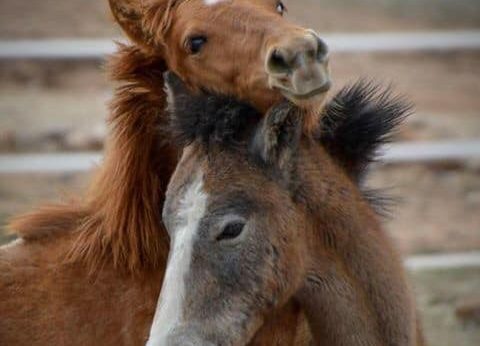 We know and love every Salt River wild horse from birth and sometimes that makes the job even tougher. Delorian was born 4 yrs ago, he emancipated from his birth band at 1.5 yrs old and found another bachelor who became his companion. His name is Sky and he is also a 4 yr old stallion, who looks very much like Delorian himself although they are not related. Together they roamed the Tonto National Forest for a couple of years and were a tough pair, never leaving eachothers side. It is not unusual for bachelors to form close bonds like this. Then at the beginning of this year, they found themselves a young mare that had just had a foal and was very weak. They decided to defend her and the baby and became a band! With neither one of them being a particularly experienced lead stallion, they caused SRWHMG and MCSO quite a bit of trouble this summer by continuously hanging out at the tubing parking lot, and crossing the road back and forth. Our protocol for injured wild horses is we begin to monitor them closely and let them tell us if they are improving or not, so that they have a chance to stay in the wild if they are healing. We update our veterinarians and our Salt River Ag Liaison on the progress. We also begin to get the horse used to our presence in case we need to treat them or rescue them. We have rescued many wild horses and we have also left many in the wild, all depending on their chances of survival and level of suffering. Delorian’s swelling appeared to be going down and he was starting to put full weight on it, so we were getting a little tiny bit of hope. His band came back to check on him almost every day and Sky showed him extreme care. He was in very bad shape by that time and we immediately started gentling him in order to get x-rays of his leg. James and Shelley from the Trust-Technique are visiting us and donated their time to help Delorian. They will make a video about it that will absolutely amaze everyone. We took special care the whole day to make Delorian comfortable and happy. He was given strong pain meds, he socialized with the rescues at our property, and he ate as much as he wanted. Our Salt River Ag Liaison Jacqueline Hughes came by to assess him and help us. His x-rays turned out to be horrible as was predicted by her. This is the most severely broken cannon bone we have ever seen. You can see the full breaks, both horizontilly and vertically in the pictures. This guy had been in a lot of pain and he had been incredibly tough. We gave him a chance to heal, because sometimes it does happen. But it was time for him to be out of pain. We want to thank Dr. Cooper for euthanizing him so gently and James French for making that possible without fear. Delorian went very peacefully and now joins the rest of our angels. He was an amazing wild horse and he will be missed by Sky and by all of us, in particular our volunteers Rosa and Sharon who monitored him so closely every day. 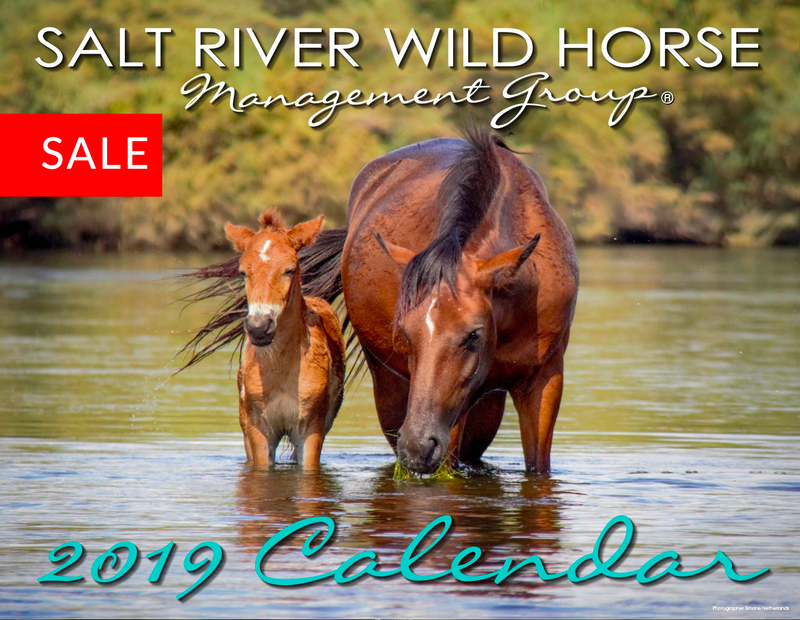 We are thankful for our AZDA for supporting us in the humane and conscientious management of the Salt River wild horses. “Just because they are wild animals doesn’t mean you let them suffer.” If you believe that as well, please share this post. Run forever free brave Delorian.